The National Chairman of APC described the current recession in the country as the handiwork of God, acknowledging that the situation has forced government at all levels to invest in agriculture, adding that the nation will be one of the biggest exporters of farm produce in the next two years. He stated this at the 61st Annual General Meeting of ADAN at the University of Benin, Benin City. Meanwhile, Dean, Faculty of Agriculture, UNIBAB, Prof. Musibau Bamikole, has called for adequate funding, capacity building and effective research coordination to develop the agriculture sector in Nigeria. He expressed regrets that government had neglected agriculture, “a viable alternative” to the dwindled price of crude oil globally. He said: “It is rather regrettable that agriculture that has been the mainstay of our economy before the discovery of crude oil has become a sleeping giant with the huge resources and potential yet to be harnessed. 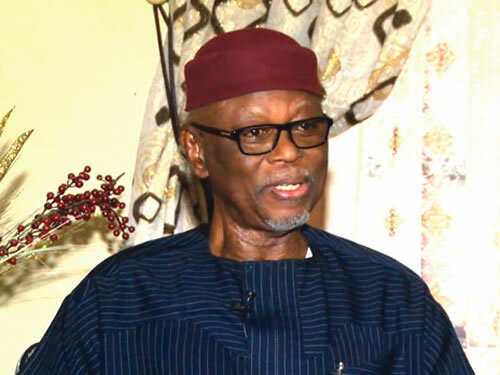 You will agree that the giant is still sleeping and the situation should be rescued and we need a serious research revolution to transform the sector.” Meanwhile, Oyegun on his part, said: “I want to emphasise that the APC is totally committed to developing agriculture as the back- bone of the Nigerian economy. A lot of ideas have been thrown out, there is no country on the planet that does not subsidize agriculture. So, we have been living in this fool’s paradise that government does not subsidize agriculture for its people.” “United States of America, which is the greatest economic power, guarantees and pays farmers to produce, even things that they don’t need. “It is no longer a matter of choice that we must divert to agriculture. Agriculture is about 70 per cent of our growth and if we can generate even a three per cent growth, which marches the rate of our population growth, then you would have stabilized the whole vision.” So, we have come to that because the price of a barrel of oil has today dropped from $50 per barrel. Projections for the future are not very encouraging, most developing nations now concentrate on renewable energy, we have not gone beyond exporting crude. “Today, agriculture has become the Cinderella and we are committed to making it an alternative source of income. I am happy that twice that I have been in this chambers, it has to do with agriculture. The chairman of the LOC made it quite clear that maybe God in his kindness has forced us into a situation where we now have to think, where we now have to reason and look back. “It is no longer a matter of choice that we must divert to agriculture, in fact it is unforgivable that we behaved stupidly without vision for so long. Agriculture is about 70 per cent of our growth and if we can generate even a three per cent growth, which marches the rate of our population growth, then you would have stabilized the whole vision. “But if you can make it four per cent, five per cent, you would have changed the living standard of the majority of Nigerians. Agriculture is a big business that we can profit from and we thank God for bringing us to this state” he stated. The chairman of ADAN, Prof. F. M.D avid-Abraham, said that the awardees which includes the Vice Chancellor of UNIBEN, Prof.Faraday Orumwense, were carefully chosen due to their efforts in ensuring that agricultural policies are implemented at all levels.